Tall and rangy and bursting with energy, military veteran Christopher Roe has a bit of the Abe Lincoln look about him. But Lincoln never had the opportunity to enjoy the therapeutic value of cannabidiol. 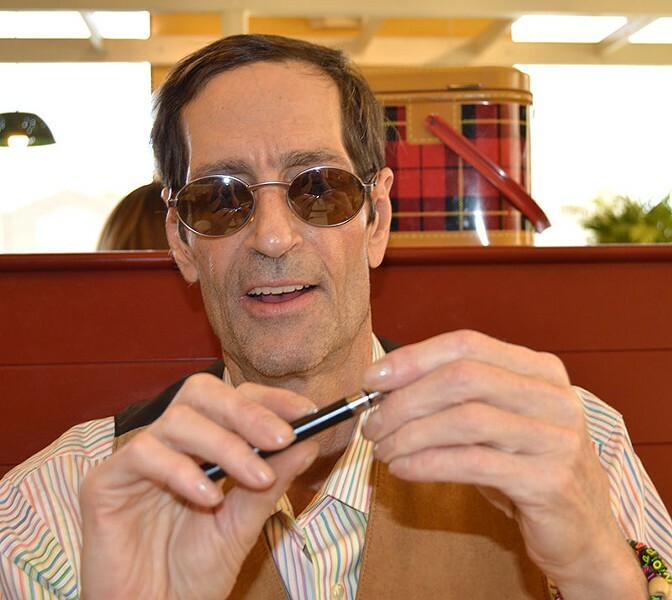 I met up with the Santa Rosa resident at the Marlow Road outpost of Mary's Pizza Shack to talk about his relentlessly upbeat push to get cannabidiol (CBD) vape pens and other delivery systems into the hands of U.S. military veterans. Roe, 57, served six years in the military during the peacetime years of 1978 through 1986 and, like Lincoln before him, is committed to raising an army—a big army, a really huge army—drawn from the millions of American veterans now on the homefront, some struggling more than others from war-borne trauma. His goal: to free cannabis from the shackles of a federal scheduling policy which holds that the plant has no medical use—and use it to help vets heal. Through his nonprofit organization, the Veterans Cannabis Advocacy Group, Roe is on a mission to bring hope and healing to as many veterans as he can. Part of this involves applying firm but friendly pressure on a Department of Veterans Affairs—which he likens to a lumbering oil tanker wallowing in familiar waters—that has yet to embrace CBD as legit therapy. Roe has been using CBD for various medical issues, he says, after years during which he was "never able to find the right medicine." He had a revelation about his path forward, he says, at the Emerald Cup in Santa Rosa in 2016 when he saw a young veteran with a CBD vaporizer take a couple of puffs and totally mellow out. Roe's mother, who lives in Menlo Park, is a retired nurse who helped start methadone programs, and his brother, Michael, served in Vietnam and passed away just a year ago. "Vietnam totally fragmented him," Roe says. "He was never the same after it." Roe is grounded in science and a passion for peace, and offers a "moonshot" of his own when he throws down unabashedly for a world without weapons, and invokes Elon Musk and SpaceX with a sweep of his arms: "Send it all to Mars," he says—and send all the toxic pharma that's pumped into vets, too. In the meantime, Roe has gotten himself a marijuana micro-business license from the state and plans over the next year to push out into the American veteran community and offer CBD delivery systems at a discount. "Seventy to 80 percent of vets want this," he says.